Do you care at all about being successful? Then “Grit: The Power of Passion and Perseverance” by Angela Duckworth is a must read. Because if you want to achieve in pretty much anything, you need Grit. Angela Duckworth explains what Grit is, why it matters, and how you can get it. And it’s that mix of passion and perseverance that Angela Duckworth calls Grit. Angela Duckworth studied the challenging Westpoint induction training. She wanted to see what differentiated those who made it through with those who dropped out. And she found out that Grit was an astoundingly reliable predictor of who made it and who quit. She ran the same study with sales representatives, a profession with a notoriously high turn over rate. And again Grit was a huge predictor of who stayed and who quit. Grit mattered more than any other personal trait. Grit was of course not the sole good predictor of endurance. In sales for example, previous experience mattered; in school a supportive teacher helped students make it through; and for the military the physical fitness at the start of the training also made a difference. But Grit was important in all of them and mattered even when the other predictors were absent. Angela Duckworth says that in spite the USA is a country where most people appreciate and idolize effort and hard work, often that’s more lip service than reality. She says that, deep down, we all love naturals. And experiments show that people would rather hire naturals and believe that naturals have higher chances of succeeding than the hard worker, even when their skillset is completely the same. The author says that it’s a bit like people saying they don’t care about physical attractiveness but then we actually pick the cute partner to date when given the option. Angela Duckworth says that talent is not a bad thing -of course it isn’t- and, importantly, that we are not all equally talented. But the biggest reason why the preoccupation with talent is harmful is that we risk forgetting all the other important traits that matter, like Grit. Angela Duckworth quotes Dan Chambliss when he says that, of course, not all of us will become Michael Phelps, but that the talent needed to succeed in swimming is lower than most people think. And, importantly, that greatness is doable. As long as you understand that a high level performance is backed by countless hours of mundane work behind the scenes. I found it fascinating to read the reason why Angela Duckworth says we all love talent, and it’s because it lets us all off the hook. If the achievements of others are because of something magical, or because of some lucky mixture of genes, then we don’t need to compare ourselves to them. They are the special ones and freaks of nature, and we are normal. Talent is how quickly your skill improves when you invest effort. Achievement is when you take the required skills and use them. Notice that effort figures twice. 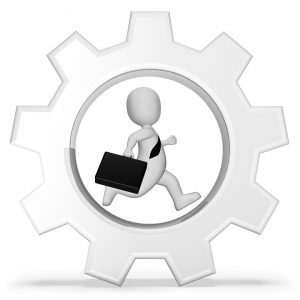 First by building the skill, and second in deploying those skills until you achieve your goals and objectives. The author recognizes that this equation is incomplete as it doesn’t include other important variables -ie. : a great coach- but adds that it’s still relevant to understand the importance of effort. Will You Quit at the First Obstacle? Angela Duckworth says that many people often start things full of excitement, only to give up too soon when they encounter the real first obstacle. We quit what we start way too early way too often. But what really builds skills and leads to achievement is waking up day after day and staying at it. Angela Duckworth says that Grit is about working on something you love so much that you simply want to keep at it. Grit is falling in love and staying in love. The author then proposes a test to assess how gritty you are. My Note: We all love tests with neat and defined results, but since it’s based on self-assessment of yourself I would recommend taking it with a pinch of salt (or not taking the test at all). Grit has two components: passion and perseverance. Angela Duckworth says that passion often gives us the idea of a quick infatuation, but in high achievers passion is about consistency over a long period of time. Angela Duckworth then goes into the relation between Grit and goals. Grit means keeping the same end goal -which she calls a “life philosophy”- over a prolonged period of time. Importantly, gritty people have related lower level and mid level goals supporting their life philosophy. 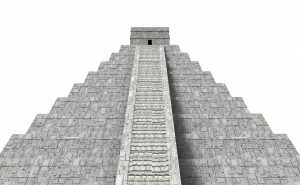 Imagine a pyramid, with the lower level goals all there in support of the top. On the other hand, people lacking in grit tend to have goals who don’t align. And some other people have a big final goal but withoutany supporting mid level and lower level goals. The author calls it “positive fantasizing”. You can, and sometimes should, swap or scrap lower level goals if that makes sense in your circumstances. You should however strive to stay stubborn about your high level goal. Of course the author had to touch on the all encompassing question: is Grit a “given” or can we change it? Angela Duckworth says that the short answer is that in part our Grit is genetically determined. But don’t start cheering or using that as an excuse yet. All human traits are a mix of genes and experience and you can influence all of them. Even height, the stereotypical genetic trait, is more malleable by the environment than most people think. The next paragraph teaches you how you can grow Grit, but I think it’s also interesting to take a look at inter-generational Grit. Angela Duckworth says that the previous generations more grit than millennials. She says this could be because of a different cultural environment, but also because millennials are younger today and Grit grows with age. Angela Duckworth says most people quit because they get bored, because they don’t think it’s worthy it or because they can’t see themselves ever making it. She then says there are four specific psychological assets that the Grittiest people have and that serves to counter the forces that urge us to quit. You can learn all four elements. You can learn to become interested, you can build the habits of practice and discipline, you can develop a purpose and you can become a hopeful person. Angela Duckworth says that you don’t usually find your passion as if a bolt hit you from the sky. From her interviews most people found their passion exploring many different interests they had. The author mentions her colleague Barry Schwartz when he says that most people don’t stick to something they are interested in because they have overblown expectation of what it means to “find your passion”. It’s a bit like a life partner, Barry says. Some dream of a knight on a white horse with a book-long list of qualities. But reality nobody has a book-long list of qualities with some deficiencies here and there. And a related problem is the idea that falling in love should be sudden and swift to be “real”. But again, life id different, and love often grows. To find your passion try to go for something you believe you would like. Don’t be afraid of guessing if you’re not sure, because there is definitely an element of randomness and trial and error. Sometimes it can also be difficult to predict what you will enjoy, and if you pick the wrong one, don’t be afraid of moving on. It’s also important that you do what you like, because you don’t find your passion with introspection but with first-hand experience. At the beginning, our interests tend to be feeble and ill defined, and indeed Angela Duckworth says that often the discovery of a life passion can even go unnoticed. That’s why it’s important to at least give a fair chance to any new endeavour we start. Once you start finding a certain topic or activity interesting, it might happen you want to try something. That’s because, the author says, our brain loves novelty. Before switching, see if you can deepen your interest instead. And remember: if you want to stay engaged in anything for the long term, you have to learn to enjoy the nuances and details of your discipline. Finally, I would also like to add that, as Angela Duckworth herself highlights, the people around us are important in whether we will take a liking on something or not. And early positive feedback serves to make us feel happy and confident we are indeed pursuing the right choice. Further deepen it over a lifetime. So, to be clear and for your complete understanding, it’s more about “developing” your passion than it is about “finding” your passion. Experts don’t just practice more, but they practice differently. Grit by Angela Duckworth talks at length about the concept of Deep Practice. Deep practice means zeroing in on your weaknesses, focusing more on what you did wrong than on what you did well. And then fixing it. Deliberate practice is exhausting. Many top performers can only handle one hour before taking a break, and no more than 3-5 hours per day. Particularly interesting to me was to read how the fear of failure and of looking bad are the worst enemies of deliberate practice. It’s because since the core idea behind deliberate practice is to train based on mistakes outside of your comfort zone you simply can’t allow shame to hold you back. In that regard I invite you to read the seminal book Daring Greatly by Brene Brown, largely based on beating shame and living fully. Deliberate practice and flow are different. Deliberate practice is a behavior and it’s more effortful and rarely as enjoyable as flow. It is planned and happens when you’re beyond your skill level. Your goal is to increase your skill and you are looking for problems to fix. Finally, deliberate practice is for preparation. Flow is a state instead and it can be more challenging to accurately plan. In flow you’re not analyzing what you’re doing but simply doing it and you’re effortless. All the feedback you get is often great and not based on mistakes because your skill level is enough for the challenge. Gritty people do more deliberate practice and experience more flow. Importantly, gritty people also experience deliberate practice as more enjoyable than less gritty ones. But some high achievers hate the practice part but still maintain an overall passion for their sport. Some others go through the hard practice for the pleasure of the final result (as very well explained by Tim Grover in Relentless: these people are addicted to winning). Overall, Angela Duckworth says there is not enough evidence to say whether or not deliberate practice can be perceived as enjoyable and effortless as flow. Her own experience says that deliberate practice can be gratifying, just in a different way than flow is. I think a key nugget of information that might slip by since Angela Duckworth didn’t drill down on it is that the experience of working hard changes when the effort is rewarded. Therefore If you’re a parent it’s important that you reward your children for the effort. And if you’re an adult you reward yourself for your hard work as that will help you link pleasure -or at least a pleasurable follow up- to hard work. To get to know more about effective practice, I invite you to check out The Talent Code. Angela Duckworth says that often gritty people have difficulty in putting into words what they feel about their purpose. But the key is that purpose is always connected to other people. Their action can be driven for the sake of the sport, for the country, or for some specific person, But the final idea is that what we do matters to other people. However, an altruistic principle is not a strict requirement for grittiness and it’s well possible to be a gritty villain. Angela Duckworth says the hope of gritty people has nothing to do with luck but has to with getting up again and again after we fall down. The author links hope to optimism. She says that optimists are different in that they find explanations for their failures which are temporary and specific. Pessimists instead explain their failures with permanent and pervasive causes -ie. : “I’m a loser”, “I always mess things up”-. She talks then about Growth and Fixed mindset and says that a Growth Mindset is strongly linked to higher levels of Grit (read how to develop a growth mindset). Also, I find it very interesting and certainly true when the author comments that many of us often have a pessimist fixed mindset in us alongside the optimist growth mindset we profess. And, may I add, it’s our duty and worthy goal to change that. Angela Duckworth says that a fixed mindset about your capabilities leads to a negative and pessimistic explanation of events, which in turn leads to both avoiding challenges and giving up early. And I would add that it just makes sense. If you believe your capabilities are fixed, why would you go through challenges? On the other hand, the author say, a growth mindset leads to optimistic self talk and Grit in the face of challenges. Angela Duckworth says there is much research on parenting and some research on Grit, but no research on both of them. The author says that authoritarian parents are demanding and unspportive while permissive parent are supportive and undemanding. She recommends instead a middle way that takes the positives of both of them: demanding and supportive parenting. And the best way to grow Grit in your children is to show grit yourself and then adopt a parenting style that encourages your children to emulate you. Angela Duckworth says that students who engage in extra curricular activities for longer than a year are more likely to graduate and do better in almost any measured trait from grades to self esteem to employment after college. The author recognizes the first doubt I had while reading that: is it sticking longer through extra curricular activities that helps, or are higher achiever simply more likely to stick longer to their chosen activity? She says that the two aren’t mutually exclusive and that both factors -cultivation and selection- are at play. The association that working hard leads to reward can be learned. And, I may add, should be learned. Because when we don’t make that association, we tend to fall back to laziness. We human beings have a tendency to preserve energy as much as possible when we don’t see the point of an action. And when we don’t make the association that working hard pays off then, guess what? We will not work hard. Angela Duckworth says that she raises her children with the Hard Thing Rule -and I hope her husband won’t take it personally she felt the need to come up with that :)-. Angela Duckworth says that the culture we live in and with which we identify powerfully shape our behavior and, with time, our identity. This is critical because our identity shapes our character and behavior. Basically, sometimes we process information logically to reach to a conclusion. But many other times we don’t deeply assess what are the benefits and drawbacks of our daily decisions but simply revert to “who we are” and what people like us do. This is important, Angela Duckworth says, because the results of long lasting effort often take years to materialize. And when we don’t have identity to push us through we might simply be tempted to give up when the results are both uncertain and so far away. 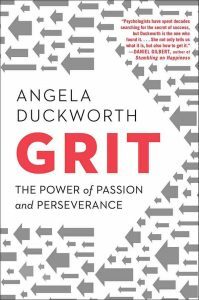 Angela Duckworth reminds us that you can grow Grit either from the inside out, by developing your interests into passion or through the outside in by immersing yourself in the kind of culture that promotes and foster grit. Intellectual dimension of character (mind). Grit is part of the Intra-personal dimension, which also includes for example self control, and this is the cluster that is most predictive of achievement. For a healthy social life though interpersonal traits are most important (take a look at Social Intelligence by Daniel Goleman for more on that). Grit not only will make you more successful, it will also make you an happier and prouder person. And one who can give back the most to the people around. Once you rationally understand that, start making it your goal to be grittier. And be proud when you show Grit, so that it will start becoming part of your identity. You have to believe that results will come via hard work applied over a long period of time. This is a kind of mindset you have to develop and make yours. This is also connected to a Growth Mindset, which is the belief that with hard work you can improve yourself. Divide your goals in short term, mid term and long term and make sure the shorter term ones support your overarching goals (your life philosophy). That way it’s easier to know what you can change or quit while staying gritty with your overall goal. The culture and the people around you influence you, and do so powerfully. Hence, if your goal is to achieve something lofty, escape from the pot smoking friends and join a group of highly drive men and women. You don’t “find” your passions, you develop them. Absolutely recommended. I was already aware on the importance of Grit, but Angela Duckworth gave me a deeper understanding of how it relates to other aspects of life. But what I loved the most is how useful it is to “find your passion”. This is one of the questions people ask the most, and Grit gives a detailed explanation on how to find and develop your passion. After further research I stumbled upon the idea that “grit” as a psychological trait might not exist on its own. Grit is likely to be simply another definition of consciousness as measured in the Big Five personality traits. This does not change much in what it means for your success, however it does in my opinion take away from the author’s personal reputation. As Jordan Peterson, author of 12 rules for Life says in this Quora answer, Duckworth never apologized for her (likely) mistake. That tells us a lot of what people would do looking for success. Check out the best books here, all the reviews in one page here and all the summaries titles in one page.